Most of us have heard that drinking red wine may have heart-healthy benefits. And while there’s still some debate on just how true that is, you may find it surprising that there may just be some oral health benefits to partaking in glass every now and then. Our dental office in Nottingham explores these potential smile benefits as well as some not-so-good side effects in this week’s blog. In most of the studies surrounding the positive correlation between red wine and dental health the researchers removed the alcohol content prior to testing. This is important to note since we know alcohol tends to dry out the mouth. A dry mouth has the opposite effect of fighting off decay and actually supports a decay-friendly environment. Red wine also has a tendency to transform teeth from a bright white to a dull or discolored appearance. While that can usually be reversed through whitening or cosmetic dentistry from your dentist in Nottingham, it’s still a negative in our book. Finally, the acidity of wine can wear down tooth enamel and leave teeth exposed to, you guessed it, decay. 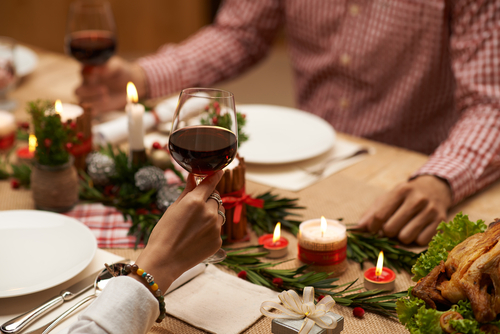 If you’re a red wine lover and happen to notice some tooth discoloration, call our Nottingham dental office to schedule a professional whitening or cosmetic dentistry treatment to get your smile back to a vibrant white. Or if you’re just looking for a new place to call your dental home, we’re always welcoming new patients and would love to see you. Schedule a visit with us today!